At Dennis Kenny Law, we provide injured workers with comprehensive legal services as we stand up for the rights of the average American worker in Newburgh, New York. The process of applying and filing for Social Security benefits and workers' compensation claims can be overwhelming and distressing to those who are struggling to recover from an unexpected injury, and we are here to navigate the complex system to get them the funds they need to recover. We represent people in the following counties: Dutchess, Sullivan, Orange, Ulster, Greene, Columbia, Albany, Rensselaer and Schenectady. At the law office, we handle cases of disability evaluation under Social Security, fatal accidents, offsite accidents, workplace accidents, work-related illnesses and injuries, supplemental security income and Social Security Disability insurance. Those who have been injured are welcome to contact our office for a free initial consultation. Many injury cases are better handled as a personal injury claim that covers pain and suffering and other sections not addressed by workers' compensation law. 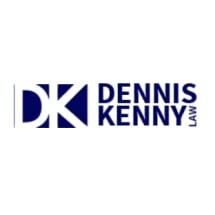 The six attorneys at the Dennis Kenny Law office have extensive experience and knowledge in both legal areas and advise clients on the best way to move forward in a successful manner. Our law office was founded in 1994 with a commitment to help the injured gain financial independence, restore dignity and obtain the benefits needed to help them recover from an injury caused by another individual or organization. Not only do we advocate for and protect the best interests of our clients, but we also educate them on how to stand up for themselves when they need it most.